﻿ Amrap's AirIt | Australian Music Radio Airplay Project :: Jazz :: Jennifer Salisbury - Do You Love Christmas? Amrap's AirIt | Australian Music Radio Airplay Project :: Jazz :: Jennifer Salisbury - Do You Love Christmas? 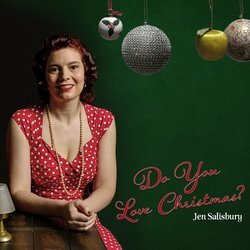 Jennifer Salisbury - Do You Love Christmas? A fun original Christmas tune in romantic vintage jazz style. With hints of Bing Crosby, Doris Day and big band Christmas.